E HAVE A LOT to rejoice about in the Church today, at least in our own country. There are many more bishops of orthodox faith and sound practice. There are dioceses in which priestly vocations are on the rise again, for the first time in many decades. There are new religious orders and communities that are bursting at the seams with inquiries, postulates, and novices. And I hardly need mention the resurgence of interest in sacred music, such as Gregorian chant, vernacular chant, and polyphony. That being said, there is a problem that continues to slow down the pace of genuine reform and renewal in the Church, and that is the predominance of conservatism among a new generation of bishops, priests, and faithful. Ever since I first heard someone explain the distinction, I have been repeatedly impressed by the real difference between conservative and traditional. A conservative is one who wishes to conserve the good at hand, which means maintaining the status quo while correcting notorious deviations. The conservative, however, has no principled motivation to return to and recover what has been lost, for he has no compelling reason to see it as more precious, more valuable, than what happens to exist right now. The lover of Tradition, on the other hand, has the mind of Saint Vincent of Lerin, author of the celebrated Commonitorium in defense of the stable content of the Faith. For Vincent, as for countless Fathers, Doctors, and Popes, Tradition as such is superior to novelty; novelty is to be distrusted, resisted with all one’s might. Therefore, wherever things traditional have been lost, the traditionalist strives to restore them, precisely to safeguard Tradition with a capital T, whereas the conservative contents himself with preserving what is at hand, even if it may be mediocre or tainted with modernism. This is why conservatism, to the surprise of many, proves itself to be a slower, less self-conscious form of liberalism. Liberalism takes as its principle that change is inherently good, and thus, that faster change is even better―as long as the change is in any direction away from tradition. Conservatism has as its principle that it is better to hold on to what one has than to give it up without a fight, but it does not recognize that due to the prevailing liberalism, more and more of the good is being surrendered, undermined, and habitually ignored with each passing day, such that it will become more and more difficult to preserve it. Conservatism is liberalism in slow motion: what is preserved is preserved by force of will, not by the firmness of an unassailable principle. As the truth fades away and people grow accustomed to its loss, the conservative has no ground to stand on; he wrings his hands while he watches beautiful things get dismantled and sent away. In contrast, adherence to Tradition goes beyond mere conservation of the good at hand, for it demands the love and honorable defense of an inheritance that is received in its integrity and must not be squandered. And if part of this inheritance has been lost, the traditionalist knows it must be restored with unstinting effort and in the face of all opposition. 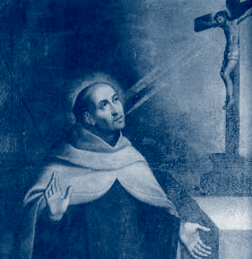 Accordingly, traditionalists are and must be, by the very nature of their allegiance to Tradition, reformers, in the sane, holy, longsuffering way that St. John of the Cross and St. Teresa of Jesus were reformers. Wherever a traditionalist sees a serious deviation from Tradition, he strives to do all he can to correct the deviation and reinstate the venerable. The basic problem comes down to this: If you do not understand Tradition, both as a formal principle and as material content, you cannot possibly see what is wrong with the status quo―you have no means of comparison, no proportionality. Put simply: If you do not hold on to something because of principle but only out of sentimentality or habit, it will sooner or later be taken away from you. Indeed, you deserve to have it taken away. The inverse also is true: If you hold on to something because it is true and good and beautiful, it can never be taken away from your mind and heart, even it may be suppressed in the world and you may suffer persecution. In due time, the Lord will raise it from the dead and give it a new life, contrary to all the predictions of the experts. It is the argument of cowardice to say: “It’s just not possible to implement this or that reform; ‘the best is enemy of the good,’ you know.” Yes, but the bad or the worst is also the enemy of the good, and, after all, one need only fight one fight at a time. The courageous thing to do is to begin, right now, to take decisive steps, even if they are small steps, one at a time, without wasting time. Each passing day strengthens each bad habit that is not checked. Nothing less than the recognizable identity and continuity of the Church is at stake―the one, holy, catholic, and apostolic Church, whose Tradition is wholly worth loving, living for, and dying for.